Just because you’re at the beach, you don’t have an excuse to wear ill fitting shorts, there’s just too many great options. 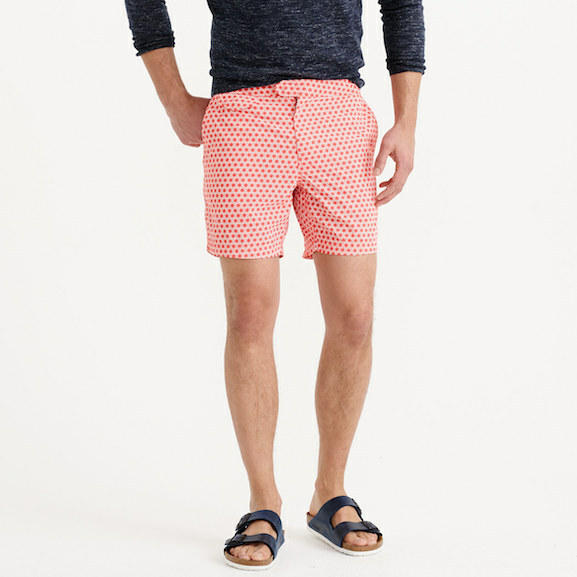 This year, our favorite out of the gate are these trunks from J. Crew. Available in solids, patterns, and classics like chambray and seersucker, these trim fit shorts will look just as good at your favorite beach bar as they will sitting in the sand or playing in the surf. Made from quick dry nylon, and featuring a tab closure like the one you’d find on your favorite dress pants, these swimsuits are definitely different than anything in our rotation, but we have a feeling they may end up being the most worn pair by the end of Summer.